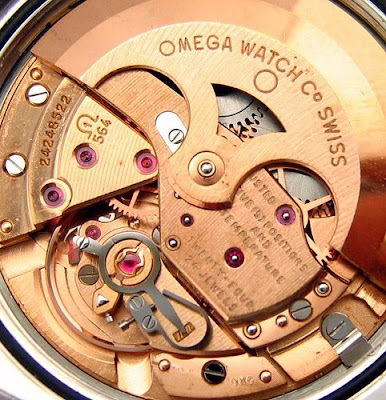 As Ryan Rooney noted here in his blog, it’s generally acknowledged that the Omega mid-500 series chronometer calibres (551, 561, 564 and 751) were the finest family of production movements ever made. He also identified the movement serial numbers that were part of one of the most famous events in production watch history – the straight run of one hundred thousand certified chronometers. Click here for a follow-up on Ryan’s post and a definitive list, pictures of the official BO certificates and serial numbers of the three ‘great moments’ in Omega’s production history – straight runs of 1,000, 20,000 and 100,000 certified chronometers. The file is large and may take some moments to download. So was there a mix of 561's and 551's in that 100,000 consecutive run? Thanks for picking up an error in that short essay, as there were indeed a mixture of calendar and non calendar models within that batch. I was told a long time ago by Omega that the chronometer certification process in the old days involved testing only the base movement and so the certificate is for for the 27 RA series which were included both calibres 551 and 561. Thanks for alerting me to the inaccuracy in the essay - I will correct it. Flip, and I thought I'd stumbled on a rare one. Thanks Dave. Case is over-polished and dial has been refinished. Hello Desmond. I was pleasantly surprised to see that I can be a happy guardian of a Constelletion pie-pan lime. 561 series: 24447xxx which I think fits in 100,000 consecutive. I am very happy with this discovery. I appreciate your information.